In the recent clash of the titans, SMRT made the first move when it recently sacked two of the workers involved in the fatal accident where two trainees were hit by an oncoming train. 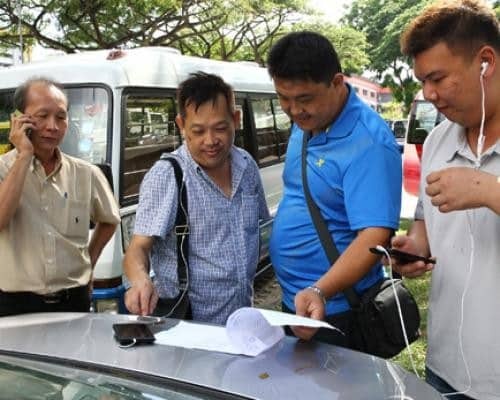 The National Transport Workers’ Union (NTWU) was involved in the discussions and asked SMRT not to take action against the staff until official investigations were completed. 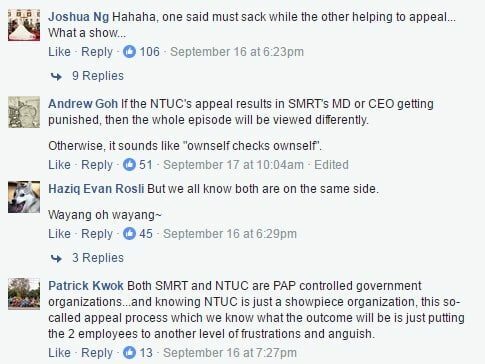 However, netizens’ skepticism was soon quelled when in the latest turn of events, SMRT agreed to convene an appeal panel to re-look into the firing following NTWU’s appeal. SMRT said that they also share NTWU’s concerns for the well-being of the workers and that the panel will review the appeal to ensure fair and due process. Who could forget the day when 171 bus drivers from SMRT refused to go to work. All were Chinese nationals who felt aggrieved at the disparity in their wages against their Malaysian counterparts and poor living conditions. After issues were resolved, the unionization rate amongst the PRC bus drivers went from less than 5% to a whopping 75%. Issues such as their living conditions and wage concerns were also looked at and NTWU continues to represent a significant percentage of bus drivers in various work-related areas. London-based operator Tower Transit was awarded the first contract under the new Government contracting model for the bus industry. This meant that over 500 drivers from SBS Transit would be affected by the takeover and NTWU negotiated to ensure that the overall package was attractive in terms of leave benefits and remuneration. A Memorandum of Understanding was also signed between Tower Transit and NTWU and Tower Transit bus captains have been seen a recent pay increment this year. 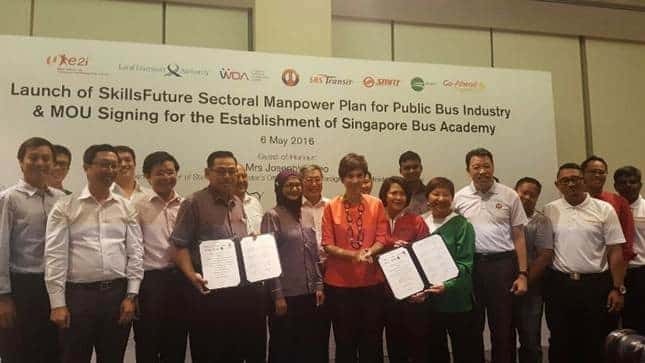 A joint project saw SMRT and NTUC collaborate to roll out the Singapore Bus Academy which will train newcmers as well as deepen the skills of experienced drivers. Located at the NTUC’s Devan Nair Institute for Employment and Employability (e2i), the first five-day foundational course for all new bus captains will take them through core topics including safe driving, customer service, labour-union relations, and bus ticketing. We’re sure there are many more but we’re liking what we see so far… and we’ll be on the lookout for more initiatives that will benefit transport workers.